When you're planning a day of running wild and racing around, we've got the cosy jumper for you. 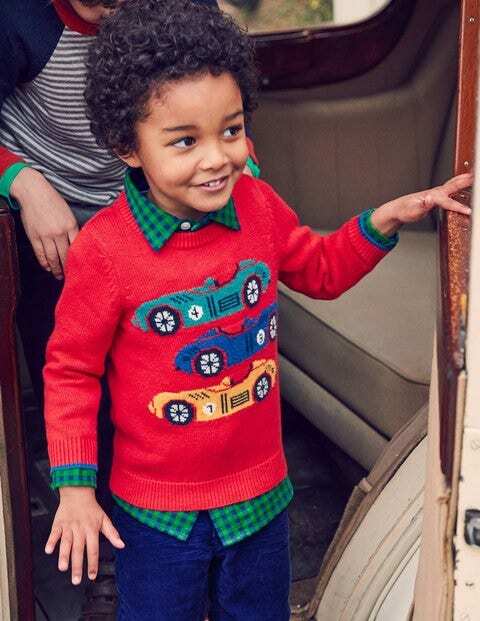 This soft merino and cotton sweater features fun and colourful patterns with playful animals or cool racing cars. And it's machine washable, so you can wear it on all your adventures.